Singapore shipbuilder Sembcorp Marine, along with DNV GL, A*STAR’s Singapore Institute of Manufacturing Technology (SIMTech) and the National Additive Manufacturing Innovation Cluster (NAMIC) have signed a Memorandum of Understanding (MoU) to develop disruptive applications in additive manufacturing, drone and digital twin technologies in a bid to keep the republic’s shipyards globally competitive. Sembcorp Marine, DNV GL, SIMTech and NAMIC will collaborate on developing and certifying laser aided additive manufacturing – also known as 3D printing – technology in fabricating large-scale structures for newbuild vessels. To be funded by NAMIC, this nine-month-long project will take off by end-2017. The project involves a test-case and user-acceptance from Sembcorp Marine, with DNV GL and SIMTech assuming the roles of process certifier and technology provider respectively. The project aims to gauge the feasibility of adopting additive manufacturing to produce reliable and cost-competitive components locally to support Sembcorp Marine’s offshore and marine construction work. In other developments, Sembcorp Marine will provide DNV GL with the test-bed and user-acceptance for developing close-up ship structure inspection by drones. The project begins later this month. Among other outcomes, it aims to build Sembcorp Marine’s capabilities in drone-based inspection of ships and rigs, while facilitating DNV GL’s refinement of class rules for drone surveys. Sembcorp Marine will also provide DNV GL with the test-case and user- acceptance for investigating the use of digital twin technology to create a digital replica of an actual ship, and through simulation determine the ship’s specific design and operational requirements for attaining optimal performance. 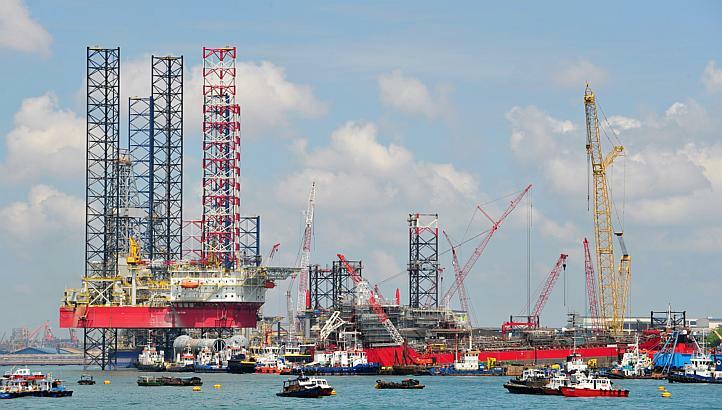 Sembcorp Marine will test-bed the three projects at its flagship Tuas Boulevard Yard.